Home Strange Stories Ghost Ship – The Baychimo spotted 37 years later. The true story of the Baychimo is one of the strangest and most mysterious ghost ship stories. Amazingly the last confirmed sighting of the Baychimo was a report that spotted it drifting the seas 37 years after she was left abandoned. The Baychimo gets in trouble! 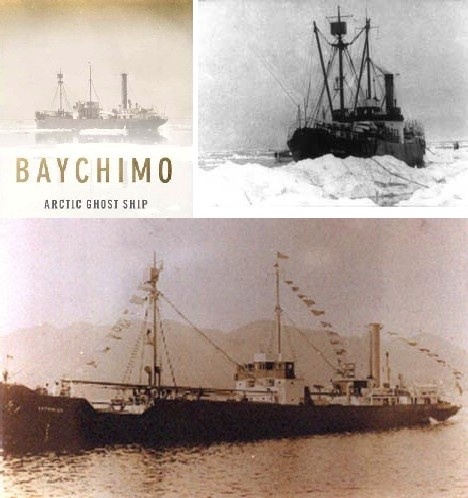 The Baychimo, a 1,322 ton steam ship owned by the Hudson Bay Trading Company, regularly traveled to Alaska and British Columbia transporting goods and passengers, and fur trading with the Inuit who lived along the Beaufort Sea. Lucky break in the ice! Luck seemed to be on the captain’s side since two days later, the ice shifted and Baychimo broke free, but Dame Fortune was fickle. 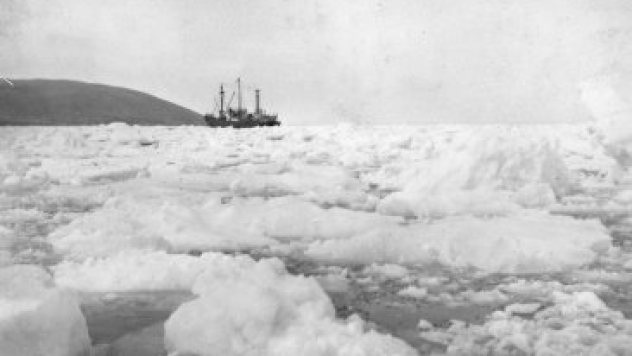 The ship continued to be trapped, then released by the thickening ice. By October 15, the Hudson Bay Company sent airplanes to rescue twenty-two of the crew, but the captain and fourteen other crew members stayed behind, building a shelter on the ice. Imagine their surprise when they awoke on November 25, the morning after a terrible blizzard, to find Baychimo gone. A local hunter eventually spotted the steamer drifting and alerted the remaining crew of its location. 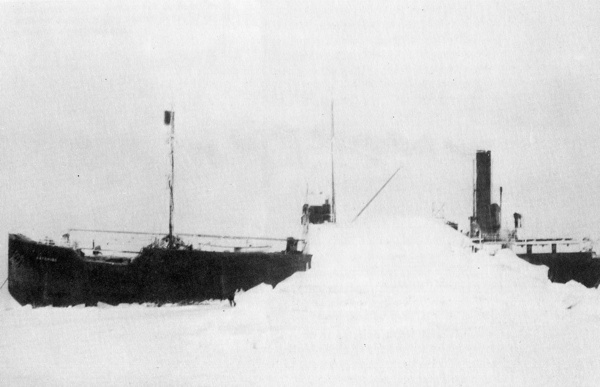 After salvaging what they could, they set the ship adrift, fearing it wouldn’t last the winter in the thick pack ice. A few days later, a seal hunter told Cornwell he’d spotted the ship adrift about forty-four miles (71 km) southwest. As time passed, the company continued to receive reports from eyewitnesses who had seen the drifting ghost ship. By 1939, scores of sightings were reported. she was repeatedly sighted all across the Arctic, drifting aimlessly at sea. However, no one was able to catch up to Baychimo, which continued to uncannily elude pursuit. The last sighting occurred in 1969, 37 years after she was left abandoned. Despite recent searches, the ship’s ultimate fate remains unknown.